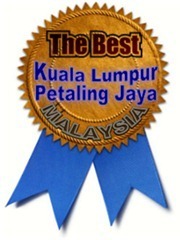 We are No.1 Online Company Registration Website in Malaysia. nbc.com.my has been ranked by alexa.com as the most visited website among all websites that providing company registration & formation services in Malaysia. We have a group of well trained staff force including Chartered Accountants and Chartered Secretaries with total working experiences of more than 100 years serving our clients. Yet, constant learning attitude by our management & staff have made us excited and ready for new knowledges and requirements in our works. NBC Group has help more than a thousand of our clients to register their new companies in Malaysia for the past 15 years and more. We have invested more than RM30,000 in our company secretarial software for handling all our clients’ secretarial matters and clients’ needs. We have been using that company secretarial software to prepare all kinds of company documents and resolutions for our clients in very short span of time, normally within a day! Committed and dedicated to constantly improving our services and online systems – we’re a learning company constantly looking for ways to enhance our offering and systems. 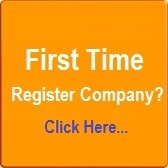 This means that our online company registration processes just gets simpler and easier. Our efficiency and effectiveness arising from various areas including the use of our company secretarial software and constantly learning attitude by the management & all staff, we have in return rewarded our clients for more affordable and lower prices for all services required by our clients. We believe in providing top quality services but yet with fairly low prices to our clients is the key to maintain long term good relationship with our clients and to have our clients’ continuous supports to NBC Group. We are Professional Group consist of company secretarial firm, audit firm, tax consultants firm and accounting firm. We provide all kinds of corporate professional services to our clients. Please visit our services section for more details. We have been operating for more than 15 years since 1999 and most of our clients have been with us since the registration of their companies. Resignation & termination rate of our clients are recorded at the satisfactorily level. This speaks for our servicing record and long term relationship with our clients.